[Chicago] : [J.A. Wolfe, 4841 N. Clark St., Rogers Park], May 30, 1906. 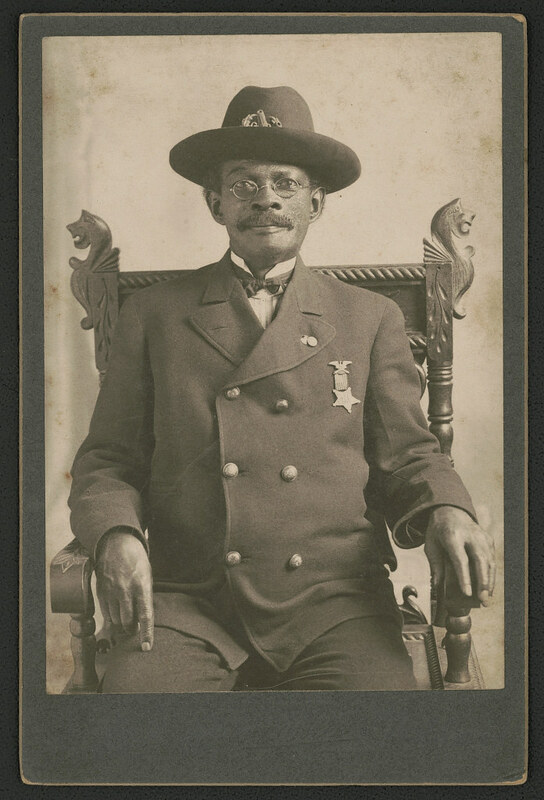 Photograph shows portrait of identified Union veteran John W. Pollard, formerly known as Jackson Ridgway or Wridgway, who had been an escaped slave. Grand Army of the Republic–People–1900-1910. United States.–Army.–Colored Infantry Regiment, 83rd (1863-1865)–People–1900-1910.